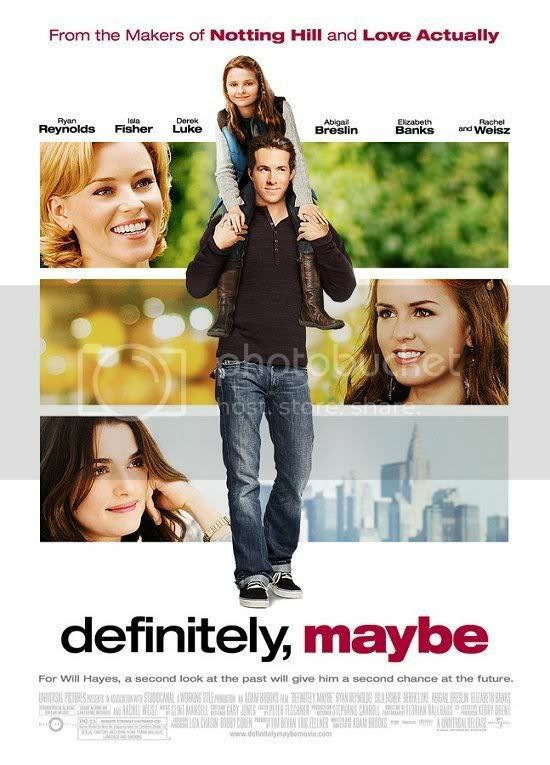 Site exclusive for downloading HD Movies,Documentary,Games from Mediafire.. The firepower-packed series that explores the genealogy of war machines — only on the Military Channel! Weapons technology has progressed from catapults to laser-guided weapons through a combination of ingenious inventions, lateral thinking, battlefield experience and no small degree of luck. But the line of fire from early innovative weaponry to modern super weapons is rarely an simple family tree. This series will draw together and illuminate the great leaps that designers have made in military technology over the last centuries. 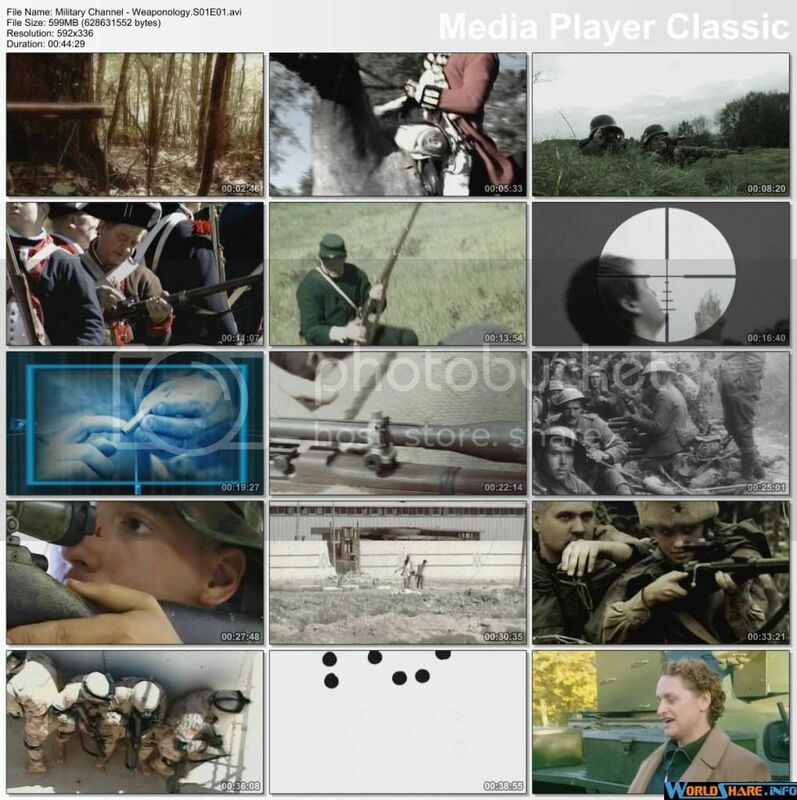 Weaponology follows the genealogy of the sniper rifle from the first sniper rifle the 18th-century German Jaeger rifles to the modern day Barrett AS50. Weaponology looks at the genealogy of body armor from the armor of medieval knights to the latest revolutionary body armor invention: Dragon Skin. Weaponology follows the genealogy of rapid fire weapons from the deadly Gatling Gun to the lightweight hand-held firepower of the modern battlefield. Weaponology follows the genealogy of Submarines from the first submersibles to today’s nuclear attack submarines. Weaponology follows the genealogy of Vertical Take Off from the earliest helicopters to the modern day Harrier Jump Jet. Weaponology follows the genealogy of the Bomber from the simple hand drop bombers of the First World War to the mighty B2 Stealth Bomber. Weaponology follows the genealogy of the Fighter Plane from the basic propeller Bi-Planes to the awesome F22 Raptor. Weaponology follows the genealogy of Artillery from the basic bronze cannons from medieval times to the modern day Howitzers. Weaponology follows the genealogy of Booby Traps. Dangerous and infinitely adaptable, traps are the hidden killers of the battlefield. 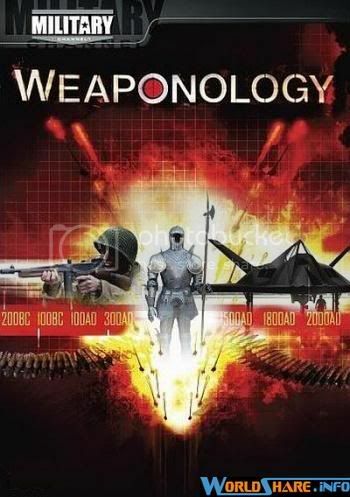 Weaponology follows the genealogy of Frags, Pineapples, and RPG’s from the first German PanzerFaust to the deadly LAW Rocket Launcher. Weaponology follows the genealogy of the Fire Weapons. Fire is the oldest, most feared weapon known to man and Weaponology traces fire weapons from ancient Greek Fire weapons to modern day Napalm. Weaponology follows the genealogy of Armoured Personnel Carriers from the first troop carrying platforms to the Bradley and Warrior Armoured Personnel Carriers of todays modern battlefield. Weaponology follows the genealogy of the Tank from the lumbering Mark I tanks of the first World War to the deadly Abrams Tank. All the content presented here are found from various blogs and forums, so all credits goes to original rippers and uploaders. The owner of this blog takes no responsibility what so ever for any of the content (image/audio/video/dead links or incorrect passwords). Download at your own risk. Enjoy your stay on this blog. Thanks you. Copyright © 2011 filefortune. Simple theme. Powered by Blogger.